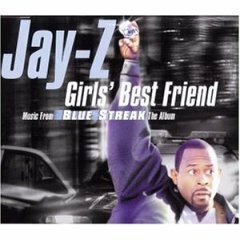 Jay-Z releases "Girl's Best Friend"
"Girl's Best Friend" is a 1999 single by rapper Jay-Z that features vocals from Mashonda. It was released as a single to promote the 1999 comedy film Blue Streak and appears on its soundtrack Blue Streak: The Album. In the same year, it appeared as a hidden track on Jay-Z's fourth album Vol. 3... Life and Times of S. Carter. Its beat, produced by Swizz Beatz, contains a sample of "Keep It Comin' Love" by KC and the Sunshine Band.